Part-time Chance(llo)r and towel-folder to explain how impoverishing people makes work pay. Not fair at all: We love this shot of George Osborne because it clarifies perfectly that, as with Michael Howard before him, there is “something of the night” about him. Will YOU believe him when he says it is fair to punish the poor for an economic recession they never made, while rewarding the rich who did the damage? You know the Tories are scraping the bottom of the barrel when they wheel out Gideon George Osborne to defend benefit changes as “fair”. It’s hilarious (unintentionally, I’m sure) that they’re wheeling out a man whose appearance in last year’s Olympic Games prompted an international crowd in a full-to-capacity stadium to ‘boo’ him – in order to try to popularise their unjustifiable crimes against the poor. This is a man whose only proper job was folding towels at a department store, if I recall correctly! He’s due to make a speech at 12.30pm today (April 2, so it can’t even be defended as an April Fool) in which he is expected to say the Tory cuts mean “this month we will make work pay”, and nine out of 10 working households will be better-off. They’ll be better of than the remaining one-tenth of households, maybe, but the Tories are never going to convince intelligent people that they’re making work pay by cutting anything! Common sense tells us that, in a country where wages are deeply depressed (such as the UK – oh yes they are) the only way to make work pay is to offer a living wage! But what can we expect from a political organisation that is now focusing its efforts on redefining the dictionary? “1. Reasonable or unbiased.” The changes include a below-inflation cap for people on working-age benefits and tax credits, meaning they will become worse-off, year-on-year, while the cap remains in place. Meanwhile, people in the top tax band – who therefore take home the most pay – are getting a £100,000 tax break. Reasonable? No. Unbiased? Not a chance in hell. Let’s also remember that Osborne is the Chancellor who thought it was a good idea to promote tax avoidance schemes on the Daily Politics TV show, on January 9 this year. “2. According to the rules.” The Tory-led Coalition is the government that changes the rules to suit itself. Let’s all remember that when Iain Duncan Smith’s Department for Work and Pensions was found, by a court, to have been breaking the law by imposing sanctions against people who refused to take part in the ridiculous ‘Mandatory Work Activity’ schemes that take more than a billion pounds out of the economy every year (almost £900 million for companies offering placements, along with hundreds of millions more for ‘Work Placement Provider’ companies), this administration’s answer was to introduce retrospective legislation to wipe away its guilt. “3. Describing light-coloured hair or skin, or somebody with this.” Let’s widen this definition a little; a person who is “fair to look at” would be deemed attractive, so let’s go with that. Are these changes attractive? Most definitely not. They are designed to make the claiming of benefits unattractive. “4. Sizeable, as in ‘a fair number of responses’.” This is accurate – the changes will affect millions of homes, throwing many of them into abject poverty. “5. Better than acceptable.” If they were acceptable, then we would not have seen thousands of people demonstrating against the new Bedroom Tax, in towns and cities across the UK. Nor would we have seen the huge amount of campaigning against the benefit changes online and via petitions. And there will be motions against implementing the tax in local authorities up and down the country. The people responsible for them don’t think these changes are acceptable; nor should you. “6. No more than average.” It could be suggested that Grant Shapps has been saying the more stringent application of the Work Capability Assessment to applicants for Employment and Support Allowance has created a more representative average number of claims by ensuring 878,000 people dropped their claims when faced by those changes – but, wait a moment, this has been exposed as a lie, hasn’t it? In fact, the number of people dropping their claims has been revealed – by official DWP figures – to be the natural wastage you get from people getting better or finding work they can do while ill, and the number of people receiving the benefit has, in fact, risen. “7. Not stormy or cloudy.” Clearly the storm of protest around these changes renders this definition irrelevant. Osborne, who not only advocates tax avoidance but allegedly participates in it himself – he was the target of a campaign by 38 Degrees, early in the life of this Parliament – also seems a strange choice to talk about fairness and making work pay, because of his involvement in a ‘get rich quick’ scheme which was extremely unfair and had nothing to do with work. Readers of this blog may remember that Osborne used taxpayers’ money to pay mortgage interest on a farmhouse and associated land that he claimed to use for Parliamentary purposes in his Tatton constituency (this has not been proved), and then sold the properties for around £1 million, pocketing the lot. He didn’t work for the money, and this exploitation of the taxpayer can hardly be considered fair – but he got away with it because his privileged position as an MP, apparently, allows it. So the Paralympics will be over after today, then. It must be time for the Coalition government to start taking away our athletes’ disability benefits. After all, they have proven they’re fit enough to work and therefore don’t need them. Right? Some of us saw this coming, weeks in advance. We knew that, once the chance for profile-boosting photo opportunities were over – whether or not they backfired, Mr Osborne – the disability pogrom would be extended to paralympians. And that’s what is happening, according to today’s Sunday Mirror. Team GB footballer Keryn Seal is blind and relies on his £70 per week Disability Living Allowance to get to training. He fears for what will happen to himself and hundreds of thousands of other disabled people when DLA is replaced by the more restrictive Personal Independence Payment as part of a plan to cut £2.2 billion from benefit costs. “I can’t understand why the Government would dream of taking this money away from us. It shows a complete lack of empathy,” he told the Mirror. And wheelchair dancer Laura Jones, a star of the Paralympics opening ceremony, said she was worried her £50-a-week payment is under threat. Another thing that looks as though it will be worse for people’s health is the Universal Credit, which the government is touting as “the most radical redesign of the benefits system this country has ever seen”, adding that it will ensure that it pays people to work rather than claim benefits. Honestly… Do they think we’re not paying attention? It seems there are problems with a plan to pay the new credit only once a month, meaning it will make a mess of people’s budgeting plans and they may be unable to make ends meet. Also, the plan to make it payable to only one member of a household is likely to cause friction and upset the family dynamic – possibly destabilising family groups and leading to splits. Bear in mind also that this is another continuation of the attack against disabled people, as the new credit will replace, among other things, Employment and Support Allowance. I wonder if Atos will be interviewing all its disabled ‘clients’ yet again, to find out if their missing limbs have grown back yet? This person is building a conservatory. 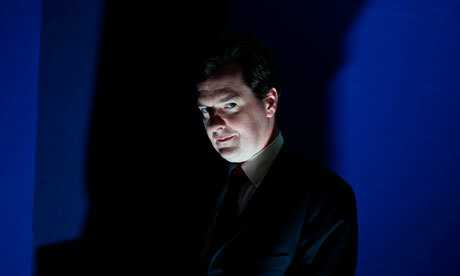 Are the Tories seriously suggesting that he is helping solve the financial crisis? Both the Labour Party and the Conservatives have unveiled new plans to revive the UK economy, in the wake of last week’s deeply unimpressive Cabinet reshuffle. Let’s take a look at them. Labour is offering us the impressively-titled ‘Pre-distribution’ – a system which asks employers to pay their staff more money in wages, in order to eliminate the need for the government to take higher taxes and then redistribute the wealth, thereby lessening the huge differences between the benefits enjoyed by the very wealthy and the privations suffered by the very poor. Labour leader Ed Miliband, announcing the policy, called for firms to be responsible in their attitude to wages, and to focus on the long-term. He said it would require a major shift in philosophy for the Labour Party, as many redistribution options – for example, increasing tax credits – will not be possible when Labour next returns to power, although redistribution of tax wealth will always be necessary. He said pre-distribution – a term he has taken from US economist Jacob Hacker – is about lifting the UK away from being a low-wage economy, because this has made us unable to pay our way in the world. We must have higher wages – and therefore our workforce needs higher skills. In fact, this is just an impressive title for something Labour has already spent a considerable period supporting – the ‘Living Wage’. The idea is that, while the minimum wage went some way towards lifting people out of poverty, it did not finish the job. Consider workers who do 29 hours a week on minimum wage. They do not qualify for tax credits and the amount they earn may not cover their outgoings. How do they survive? Under the current government, the only choice is to borrow, if they don’t have savings. So they go to richer family members and ask for a handout (a humiliating experience, made worse if a person is working full-time) or, much worse, they go to loan sharks. Recent reports have indicated that people working full-time – 37 or more hours a week – are still not earning enough to cover their overheads and are having to do the same. The current system therefore makes it possible for people to get into phenomenal amounts of debt, and we know that debt is what caused the global credit crisis of 2008. As more and more people go overdrawn, banks will fall into trouble. The amounts might not be as much – individually – but cumulatively they become a problem. Also, consider the working atmosphere created by the current attitude to wages. Employers have enjoyed wage increases that have multiplied their earnings by – what is it – eight and a half times over the last 30 years. Employees have seen theirs rise by something like 27 per cent – less than the rate of inflation. Therefore their earnings have dropped in real terms, and that’s why we see the problems I have outlined above. As a result of this, workers become demoralised. What’s the point of going to work for a business where the bosses make out like bandits and the people who actually create the wealth are treated like dirt? As a result, productivity slumps. Of course it does. Where’s the incentive to produce high-quality work at high speed? This leads to a drop in sales as orders fall off due to dissatisfaction. If the trend continues, the company fails. I have seen this happen to a major employer in the town where I live. It has been forced to remodel itself, cutting back and back, but still fell into receivership and may now be under its second new owner within 10 years. The problem for managers is they never decide to cut back on the source of the problem – poor managers who take too much of the profit; they always cut down the workforce, reducing their chance of profitability still further. This is also what happened with my last employer – a newspaper company that is struggling because it is top-heavy. I left because bosses ignore my advice and went ahead with a plan that I knew would harm sales of the edition where I worked. Sure enough, within a few months it had merged with another edition. The solution from management? Cut down on anything other than management. Ridiculous. And, by the way, British industrialists: A saving is not a profit. If you cut back one year in order to keep your head above water, what do you do when it doesn’t carry over into the next? 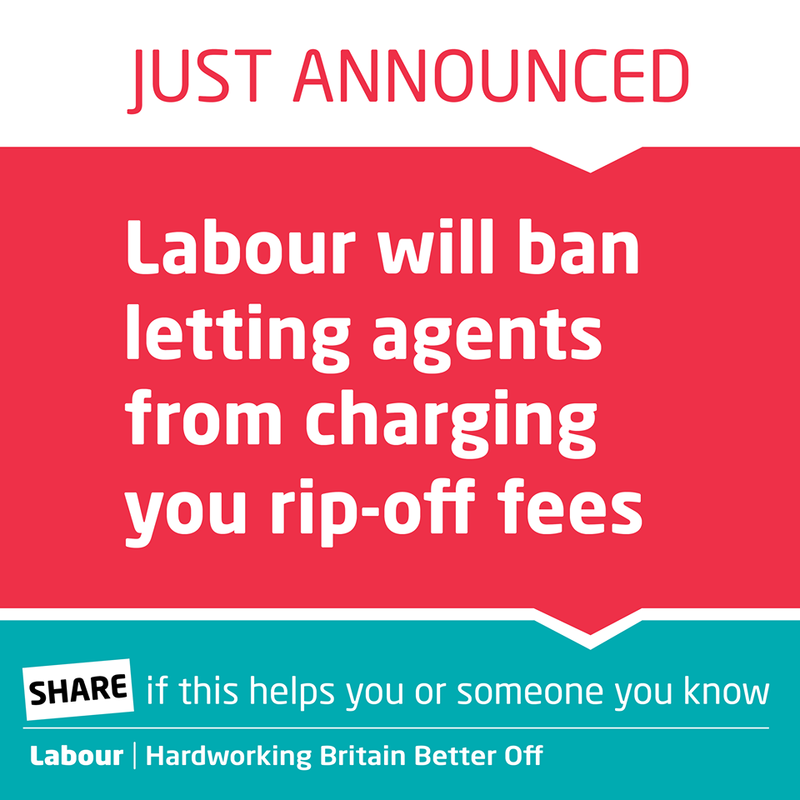 Labour’s alternative would pay workers enough money to have something left over, after they have covered their costs. They will have spending power. This means they will be able to buy more, invest more – they will have breathing space, and a sense of personal worth. From that will come a sense of pride in their work and a feeling that they are valued by their bosses. Productivity improves, as does the quality of the product. Orders increase. The company flourishes and is able to employ more workers. The cycle of growth then repeats itself. The plan also shows up the Conservatives’ lie that cutting benefits will ‘make work pay’. Forcing people off of a benefit system that doesn’t pay their costs and into a job that doesn’t pay their costs is no solution at all and any Tory who spouts this nonsense in the media is to be mocked and targeted for unseating at the next election (in my opinion). In contrast, the Conservatives have announced that home owners will be allowed to build large conservatories and extensions without needing planning permission. The Tories hope a home improvements boom will stimulate the economy. They haven’t realised that this will only benefit those who, firstly, own their houses; secondly, have enough spare cash to pay for what has been described as a “large” extension to their dwelling and; thirdly, want one. Apparently there are around 200,000 applications a year – that’s a drop in the ocean when you live in a country of more than 60 million. The relaxation of planning rules will only last until 2015, because the Tories want to persuade homeowners to get on and build these extensions as soon as possible – again, failing to realise that we are in the middle of a time of fiscal austerity, which they are enforcing, and we simply don’t have the cash. Therefore, the solution proposed by the government is for private individuals to borrow more, in order to fund the scheme and pay the builders. Isn’t that what the Tories have been mocking Labour for proposing on a national level – even though Labour isn’t currently proposing that? Also, what about the 20 per cent VAT that goes on home improvements? And what about the increased aggro between neighbours, as our quiet leafy suburbs get turned back into construction sites? So the choice seems to be: Pay workers more, see increased long-term productivity and less concern over debt; or get homeowners to put themselves in debt by borrowing to pay for home improvements they probably don’t need and create a short-term boost in the construction industry.